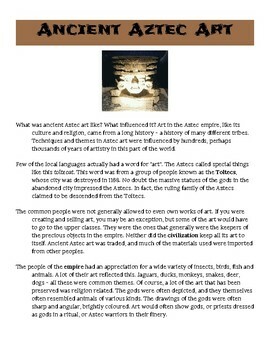 Brief overview of aztec art with questions for students to synthesize and put in notebooks. 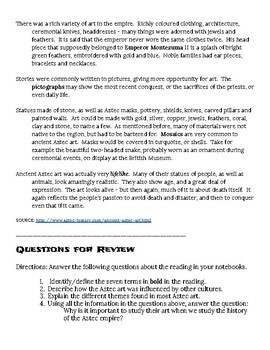 Great for intro or review! Perfect to start or end a lesson!